Ensuring that customer-owner feedback is captured and improvements are made based on what they want to see is a critical component of what has made the Nuka System of Care successful. To assist with that process, SCF has created the Strategic Planning Software, which is flexible software that helps ensure that the planning process is efficient and accomplishes the goals set by leadership and the Board of Directors. SCF is also making the software available for licensing by other companies who wish to take advantage of the systems SCF has built that have enabled the organization to twice win the Malcolm Baldrige National Quality Award. The software allows everyone in the organization to see all work plans for a given year. This facilitates communication across the organization, ensures that the various departments know what others are working on, and helps avoid redundancy that can sometimes arise when one group of employees does not know that another group is already working on something. Planning tiers. 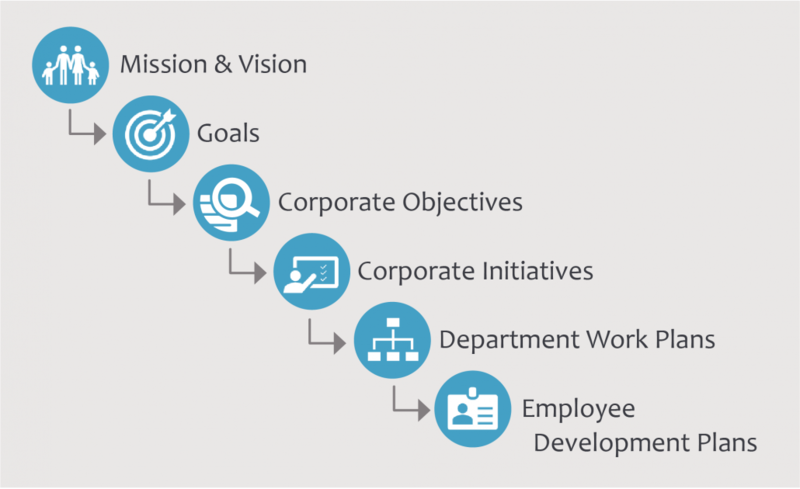 At SCF, there are three tiers: Corporate Goals, Corporate Objectives, and Corporate Initiatives. Tasks can be assigned as part of any planning tier, and the number of tiers can be customized according to each organization. Names of various items in the software. For example, an organization could call the overall plans “annual plans” instead of “strategic plans.” The terminology can be matched to what each organization uses. Text associated with the various fields is also customizable. The schedule for reporting on plan items. This is fully customizable for each item, allowing for a mixture of quarterly, monthly, and other reporting frequencies. The software ensures that each work item is tied to an element of the organization’s strategic plan. This helps organizations verify that all work being done is in support of the organization’s goals, plans, mission, and vision. It also helps the people responsible for implementing the plan items understand their context, and how they contribute to the organization’s function. If you would like more information about the Strategic Planning Software, contact the SCF Learning Institute. The software will also be demonstrated at the upcoming Nuka System of Care Conference. We hope to see you there!